Nod is originally from Thailand. When she was 18 years old, she was awarded a full scholarship (Development and Promotion of Science and Technology Talents Project-DPST) to study in the UK. 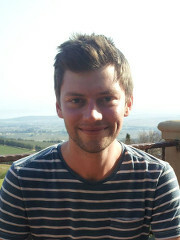 After finishing A-level from d'Overbroeck's College Oxford, Nod subsequently pursued a master of Chemistry (MChem) degree at the University of Oxford. After graduation, Nod hopes to be a researcher or a university lecturer in Thailand. In her free time, Nod likes to swim and play Scrabble and Bridge. 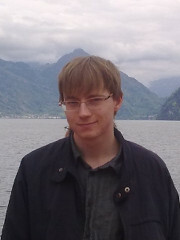 Arseni obtained his MChem degree at the University of Edinburgh. He is of mixed Russian-Polish extraction and grew up in Wroclaw, Poland. His core scientific interests are reaction discovery and method development in organic chemistry, especially regarding new catalytic methods. His long-term plans are to pursue a career in research revolving around organic synthesis in either academic or industrial setting. He enjoys heavy metal, fantasy literature and a wide selection of sports. 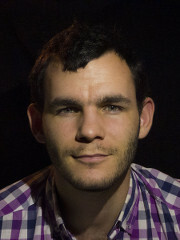 Dimitri comes from a small town near Grenoble, France. 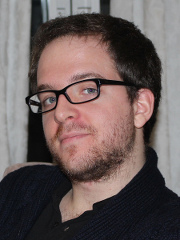 After graduating with a Master’s degree from the Graduate School of Chemistry of Montpellier, in the south of France, Dimitri did several internships in Europe: 3 months at Dublin City University in Dr. Kieran Nolan’s group on the development of a new photocatalyst for the oxygenation of organic compounds; one year in Monheim in Rhein, Germany, where he synthesised molecules for crop protection at Bayer CropScience; and lastly, for his Master thesis at F. Hoffmann-La Roche in Basel, Switzerland to develop small molecules for ophthalmology. His academic interests are in total synthesis, cascade reactions and asymmetric catalysis. Outside of work, Dimitri enjoys cooking, reading, playing the guitar and skiing. 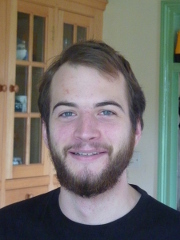 Oliver completed an MChem at the University of Warwick, during which he spent a year working at Pfizer on organic synthesis and research into amide bond formation. His current research interests include utilising synthetic chemistry to design tools to understand and manipulate biological systems, with a future aim to focus on human immune system related challenges. Out of the lab he enjoys fencing, tennis and video games. Thomas is the recipient of a Pirie-Reid Scholarship. 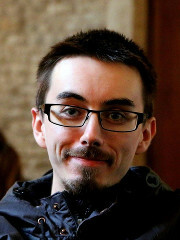 Thomas obtained his MSci degree from the University of Glasgow, in the city of his birth, completing his Masters research on an organic synthesis project in the group of Dr. Joelle Prunet. He also undertook a 12 month work placement at Roche Basel, developing small molecules for a CNS indication. His research interests lie in the development of new synthetic methods and their application to the synthesis of medicinally relevant compounds, and he plans to continue to pursue these later on either in academia or the pharmaceutical industry. Outside of the lab, his interests include music, reading, football and tennis. 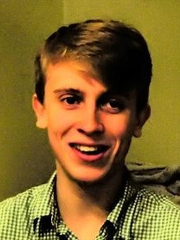 Sam is originally from Portsmouth, and studied Chemistry at Balliol College, Oxford. 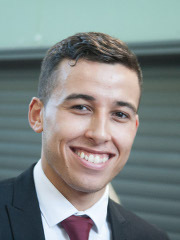 His Part II project, supervised by Dr Jeremy Robertson, was based on developing a core model synthesis of a family of natural products, for which he was awarded a thesis prize. His research interests include the application of synthetic techniques and methodology to obtain useful target molecules. He loves food, and away from the lab can often be found in a kitchen in front of a chopping board! 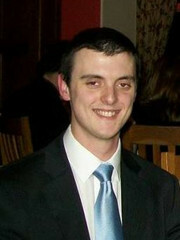 Tom obtained his Master of Chemistry with First Class Honours degree from the University of Southampton. His Bachelor’s dissertation, under the supervision of Professor Tom Brown, involved streamlining the existing protocol for modifying synthetic DNA. Tom conducted six months of research at the Technisches Universität München in Germany, completing his Masters dissertation on the design and synthesis of novel proteasome inhibitors against cancer and autoimmune disorders. Tom is focussed on the understanding, control and manipulation of living processes, in health and disease, through the appliance of synthetic organic chemistry. He is also interested in biotechnology, business and innovations in healthcare. When the goggles are off, Tom conducts culinary experiments and searches for unspoilt pubs on his bicycle. Alison graduated with an MChem from the University of St Andrews during which she completed a 12 month industrial placement at GlaxoSmithKline, Stevenage working in the Epigenetics DPU. She spent her final year carrying out her Master’s project, working on the intramolecular synthesis of oxadiazoles as part of Professor Andrew Smith’s research group. Alison’s academic interests are methodology and organic synthesis, doing things no one has done before. 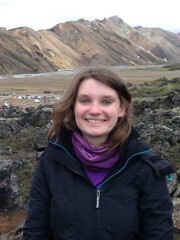 After completing her PhD, Alison hopes to use her knowledge in either academia or industry. Apart from chemistry, she enjoys badminton, swimming, reading, and the baking and subsequent eating of cakes. 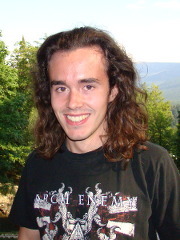 Originally from Brest (France), Kilian completed his undergraduate Masters at the University of Montpellier and Mulhouse National School of Chemistry where his research project brought him overseas to the USA for a year at Scynexis, Inc. and to F. Hoffmann-La Roche for 6 months in Switzerland. He is looking forward to working towards his DPhil at the CDT in areas such as total synthesis, new synthetic methods and more. He’s planning on working in the pharmaceutical industry in his future career. Outside of work, he pays volleyball and badminton and is interested in making homemade 3D pictures with a regular camera. Wilf is a tall, loud, beardy man from Newcastle (although it doesn't sound like he is). Following his first degree here in Oxford, including a Part II with Prof. Harry Anderson, he decided that playing with chemistry at other people's expense is quite a lot of fun. He is particularly interested in harnessing existing chemistry to make new materials, whether biologically active or not. The current plan is to go into industry and continue as a synthetic chemist at the end of his D.Phil. When not working, Wilf likes to ring church bells, drink real ale and build model railways. He is rather less keen to go clubbing or to play sports. 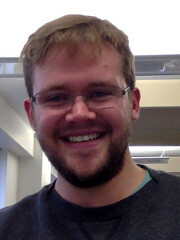 Steve is the recipient of the Oxford-R E Jones Graduate Scholarship. Steve is originally from a little town just north of Liverpool, and completed his undergraduate degree in Oxford. Under the astute supervision of Dr Ed Anderson, his temperamental Part II project explored the construction of various electron-rich alkynes from simple precursors. Accordingly, Steve is particularly interested in making strange and funky molecules, and exploring their utility in synthesis. When not battling with and being outsmarted by chemistry, Steve enjoys playing badminton and pool, and training karate. He also enjoys pizza and good movies. Originally from Bristol, Joe completed his undergraduate MChem at the University of Oxford where his research project was based in medicinal chemistry. Having now returned to St John’s College for a further four years, Joe looks forward to working towards his DPhil at the CDT; he plans to use this opportunity to continue drug development, and discover the world of total synthesis and new synthetic methods. In his spare time Joe enjoys swimming and cycling, and looks forward to continuing his training in martial arts. Moses was born and raised in Battersea, South London. He graduated in 2014 at the University of Leicester with a first-class honours MChem Chemistry degree. As part of his degree he carried out a research project on an ERASMUS year abroad at Université de Nice Sophia Antipolis, France and also carried out an RSC/Nuffield Foundation sponsored project at his home institution in 2013. Moses’s interests lie in anti-cancer drug design/development using a personalised medicine approach. In the future, Moses intends on specialising in research involving this with the intention of developing his own start up company. Much of Moses’s leisure time involves going to the gym, playing football or flyfishing. Melodie achieved a first class MChem degree at Pembroke College, Oxford in the summer of 2014. She is interested in drug development and hopes to pursue a career in the pharmaceutical industry. She has completed summer internships at Novartis and MSD, and participated in GSK’s Residential Chemistry Training Experience. 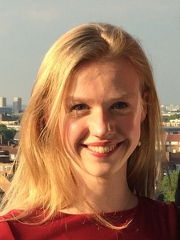 Her Part II research project, supervised by Dr Jeremy Robertson, was on the synthesis of drug molecules for the treatment of ERF-related craniosynostosis in collaboration with Professor Andrew Wilkie at the WIMM. Melodie has volunteered for Schools Plus, providing tutoring Maths and Chemistry at St Gregory the Great Catholic school, and is also involved in the University’s Chemistry outreach programme. Outside of academia, she likes to do netball and yoga in her spare time. 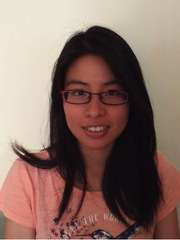 Yao is the recipient of the Lady Margaret Hall SBM CDT Scholarship 2014. 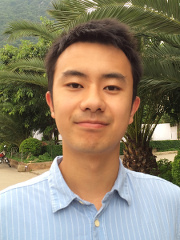 Yao graduated with a BA and MSci from the University of Cambridge, where he did his Part III project on asymmetric catalysis with Professor Matthew Gaunt. He is interested in a wide range of synthetic topics, including developing new synthetic methodology, asymmetric catalysis and applications to biologically important molecules. 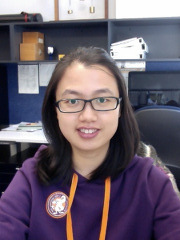 Outside of work, Yao enjoys sports - football and table tennis, watching films as well as travelling. James graduated with a MChem degree from the University of Warwick, attaining The Salters Graduate prize, The Year 4 MChem Prize and The Year 3 Enterprise Prize. He spent his industrial placement year in Belgium, working at Janssen Pharmaceutica (Pharmaceutical companies of Johnson & Johnson) synthesising γ-secretase modulators for the treatment of Alzheimer’s. 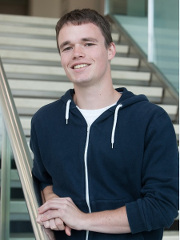 During his Master’s project James worked under the guidance of Prof. Rachel O’Reilly synthesising amphiphilic diblock copolymers that self-assemble into catalytic nanoreactors. James is particularly interested in the application of novel catalytic methodologies in organic synthesis. Outside of the lab, he enjoys football, surfing, real ale and listening to various genres of electronic music. Minh read Chemistry as an undergraduate at St Peter’s College, Oxford. She spent her fourth year working with the Edward Anderson group on a synthesis project, leading to a Masters in Chemistry. 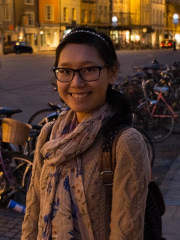 She is looking forward to joining the CDT programme to pursue her interest in natural products, and to expand her understanding of the on-going research in the department. In her spare time, Minh plays the piano and/or sings for the Gilbert and Sullivan society. Miranda completed her MChem degree at the University of Warwick in June 2014. Her placement year was spent at Novartis Pharmaceuticals in which she was involved in a medicinal chemistry project for the treatment of asthma. Under the supervision of Professor Mike Shipman, Miranda’s master’s project was focused on an asymmetric synthetic step towards a natural product. Her research interests are in the field of organic synthesis, in particular the development of new synthetic methodology and the total synthesis of natural products. In her spare time, Miranda enjoys playing the flute as part of a wind orchestra. 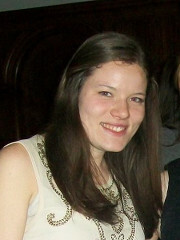 Jane is the recipient of a University of Oxford’s Clarendon Fund Scholarship. 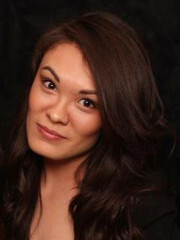 Originally from China, Jane graduated with a Bachelor of Science (Honours) (double major in Chemistry) in 2014 and Bachelor of Commerce (major in Accounting) in 2013, both from the Australian National University. Jane’s academic interests lie in Organic and Organometallic chemistry. She wants to be a researcher, making things no one has ever made before (awesome!). In her spare time, Jane enjoys walking and anything new that comes to the mind.